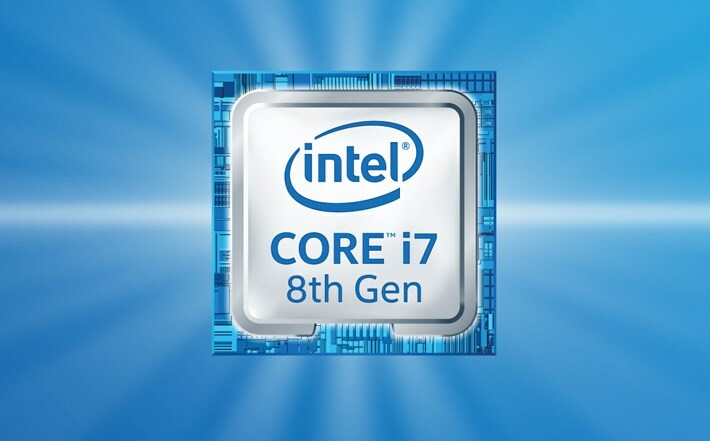 While Intel’s new Coffee Lake-H processors might have been getting all the limelight recently, the company has also introduced a number of other new chips for the 8th Gen Core family as well. Included in the set are four new U-series processors for laptops alongside nine equally new offerings for desktop PCs. Despite the differences between the amount of firepower that each of these new U-series processors has, there are actually some similarities between them. For example, all of them are equipped with Intel Iris Plus Graphics 655 that features 300MHz base clock, and 1.1GHz max clock. Additionally, all these new U-series chips also has the same TDP of 28W. 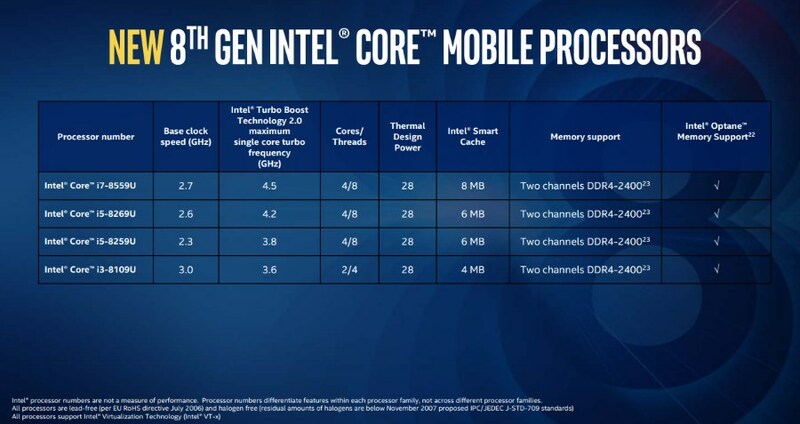 As pointed by Intel, these new processors are a mix of 65W and 35W TDP chips with the exception of Core i3-8300 has TDP rating of 62W. Interestingly, the Core i7-8700T, Core i5-8400T, and Core i3-8100T has the same RCP pricing as per their standard power twins which were introduced last September. 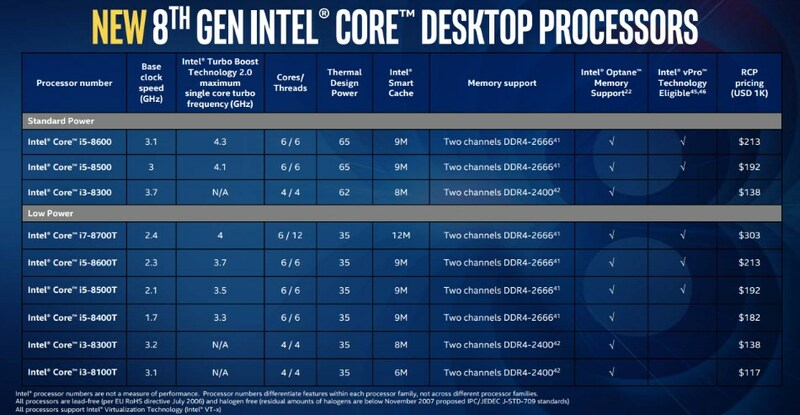 For the full specifications of all the processors that we’ve mentioned above, do head on to Intel’s official website.